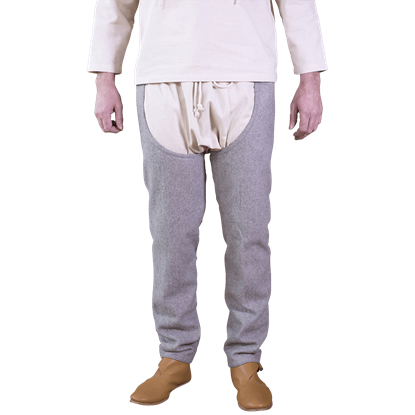 Burgschneider takes medieval clothing essentials to the next level. 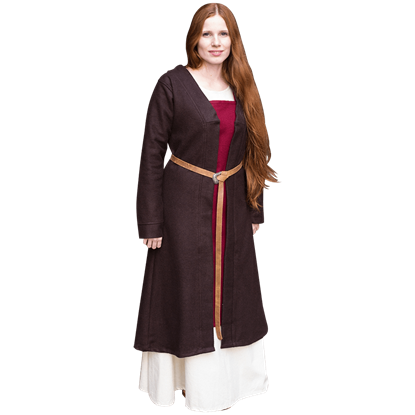 Ideal for historical reenactments, medieval festivals, and costume use, Burgschneider brings versatile historical garb that will help you start your reenactment look or perfect the details of your fantasy persona. 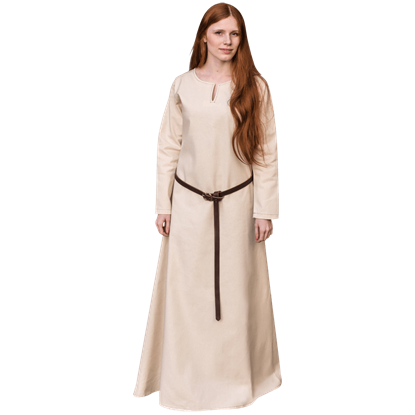 Shop medieval clothing basics like gowns, tunics, and pants for men, women and children alike made of high quality cotton. Then keep warm with hoods, cowls, and cloaks made of a wool blend. 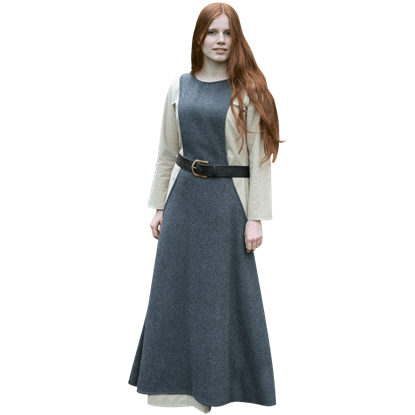 Add the subtle interest you need to make your historical outfit stand out with medieval overdresses, aprons, historical hats, and more featuring unique yet unobtrusive details and structuring to their designs. 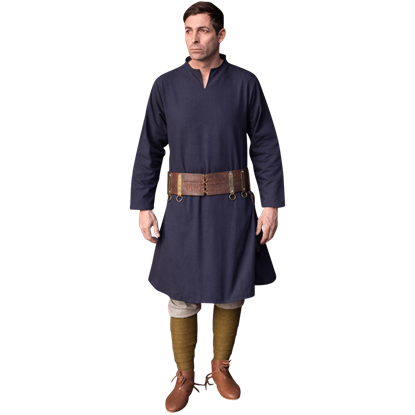 Begin your medieval outfit with ease when you choose items from Burgschneider or add authenticity and style to your already existing historical wardrobe. In medieval Europe, there existed a wide variety of religious sects. Even the largely unified Catholic religion saw itself breaking into smaller groups. 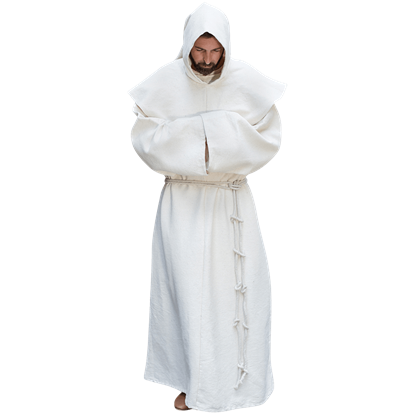 The Benedictine Monk Habit replicates the classic garb of one such monastic order. Saint Bernulf was a 9th-Century Germanic bishop who is known for having died nobly for his cause. Those who wish to emulate such a steadfast spirit will benefit from adding the Bernulf Warrior Chausses to their medieval wardrobe. The German name Brandolf translates roughly to wolf swordsman, reflecting that the bearer of the name is a ferocious fighter. 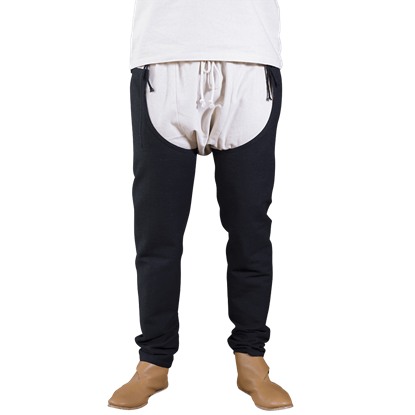 The Brandolf Warrior Chausses are an excellent garment for those who wish to brandish their might. We so often think of Vikings as brawny warriors that we neglect to acknowledge the younger members of ancient Nordic society. 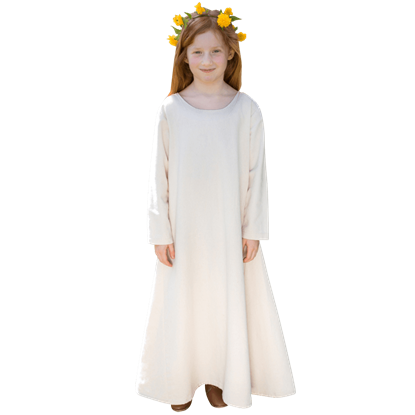 The Childrens Viking Underdress is exactly the thing for making the Renaissance fair a family event. During the Middle Ages, while nobles were adorned in jewelry and capes, the ordinary people dressed in a simple, functional style. 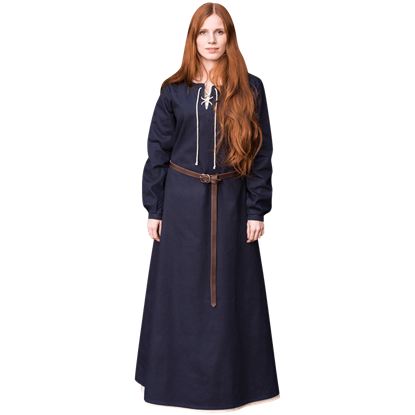 The Classic Medieval Dress takes a womens outfit from this era and authentically resurrects it. The Middle Ages were a time of interesting fabric patterns and necklines that are still popular even to this day. The Classic Middle Ages Underdress recreates the garb of the period, reflecting the origins of some of these styles. Winters are cold in Scandinavia. This means the best way to survive is to use layers. 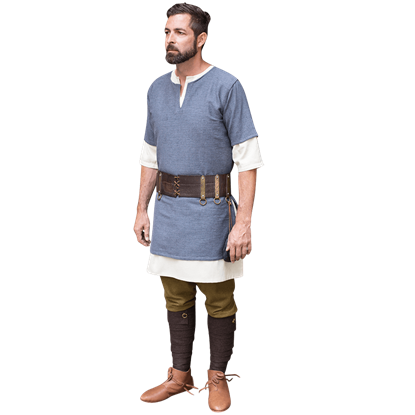 The Classic Viking Underdress combines functionality with authentic medieval style to provide a classy, humble piece of Viking underwear. The name Ekwin is derived from a Norse word that translates roughly to Swordbrother. 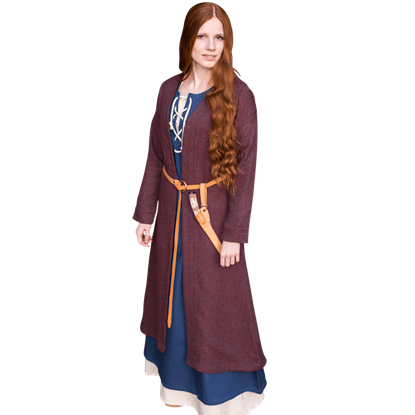 It is only fitting that the most formidable of warriors, then, be garbed in the regal and imposing style provided by the Ekwin Viking Tunic.